Dazzlingly inventive, witty and mysterious: a writer pieces together the story of a young man's death in an exhilarating narrative puzzle reminiscent of the hit podcast Serial. A young man dies in a car crash – accident or suicide? An unnamed writer with an agenda of his own sets out to piece together Samuel's story. From friends, relatives and neighbours, a portrait emerges of a loving son, reluctant bureaucrat, contrived poser, loyal friend. But who was Samuel really, and what happened to him? In filling out the contours of his existence, the writer grasps at a fundamental question: how do we account for the substance of a life? 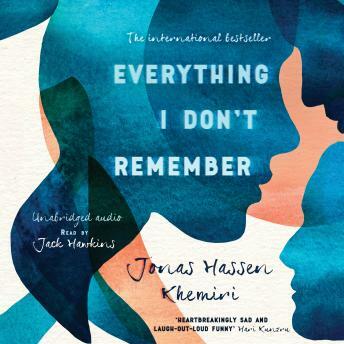 Winner of the August Prize, Everything I Don’t Remember is an International Bestseller. Read for you by Jack Hawkins, reader of Station Eleven.